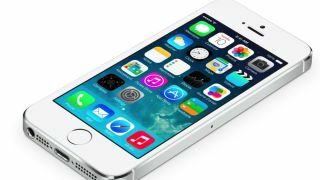 Apple CEO Tim Cook is being sued by a California man annoyed about the automatic downloads of the iOS 7 software to his family's iPhones and iPads. Mark Menacher wants a mere $50 (About £31, AU$52) from Apple, plus a way to get rid of the iOS 7 install file on his devices so he can use the space for other apps and content, CNET reports. Regardless of whether iOS device owners wish to install the new operating system, the large install file downloads by itself and requests users install each time they restart their device. However, those, like Mr Menacher, who don't wish to upgrade to the colourful new OS, are lumbered with the sizeable file, rending the once-available storage space unavailable. Apple's policy is partly why there's always such a speedy adoption of its annual software tweak, with iOS 7 usage reportedly up to 72 per cent at the time of writing. In his submission to the Superior Court of California, the claimant reserved some choice words for Apple's boss when it comes to customer service. He wrote: "Apple's disregard for customer preferences in relation to iOS7 is corporate thuggery. Steve Jobs was reportedly rough on company employees in pursuit of happy customers, but Tim Cook apparently cultivates a culture of contempt for customer satisfaction in pursuit of corporate profits. It is a policy that will eventually fail." According to the report Mr Menacher is considering taking the case to a higher court as well as establishing whether there are grounds for a class action suit. Are you still struggling to jump about the iOS 7 bandwagon? Here are 21 useful tips and tricks to get you going.